People are saying that lines at the new Sonic on Lancaster are very long. 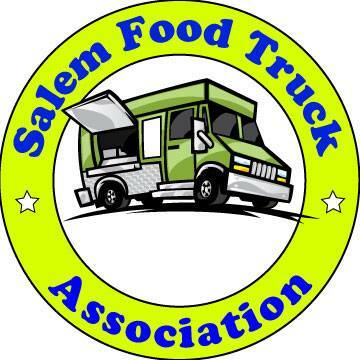 The thought occurred to me, since I'm the Eat Salem guy, to eat there on opening night. I'm so glad I didn't. I wouldn't wait an hour in line for any restaurant. Maybe Sonic should start taking reservations. I'll review it when the hamburger hysteria goes away. In the meantime where should I eat tonight? Is this a good night to check out Josie's? We went there for a blood date last month, but found out they're only open a few nights a week. Or Liberty Bar & Grill? I've been curious about that place. josie's is only open for dinner on Friday nights. Awesome deal on a mouth watering NY steak dinner, which includes soup or salad, entree, and dessert for under thirteen dollars, but next Friday is probably the last night they will be having dinner. I was told that they will just be doing breakfast and lunch for the spring and summer months. They have some of the best biscuits and gravy around. Actually everything that I have tried on the breakfast menu has exceeded my expectations. Thats probably why they are packed when I go in on Saturdays and Sundays. Josie's is a must try next Friday. If you can't make it breakfast is even better. So whereabouts is this infamous Josie's? Someone leave a clue or hint? I just checked the white pages - it's at 2280 Broadway NE. Pine St. runs along the north end of Josey's parking lot. I went by Sonic yesterday to see how it was going. They had people standing out there directing traffic in the parking lot. Basically there was a line of cars waiting to get in line at the drive through. I'm thinking of driving to Hillsboro buying about $500 worth of Sonic burgers and selling them for $10 a pop to impatient people in the line, line. Sounds like an excellent idea, though. It all depends on what time you go. I went to Sonic around 9:30 a.m. yesterday and I was only like the third person in line at the drive-thru. Well . . . we did it. We waited for about 15-20 minutes in line to park and order at Sonic. There were some glitches with the ordering; we thought we had placed our order on the intercom, but then a second person came on the speaker and asked us for our order. N told her he thought we had ordered. She looked it up and verified that no order had been placed and then was promptly cut -off. We had to wait another few minutes before she came back on and apologized. I'm assuming it's all related to how busy they are. While we were eating, we noticed that the gatekeeper must've gone on break and failed to notify anyone. The road/driveway needed for the parked customers to use for backing out and exiting was completely filled by drivers waiting bumper to bumper to order at the drive-up window. Earlier, when we were waiting in line, they had a young man out directing the traffic flow. Not sure what happened, but after we were done eating the area was clear again. It provided anxious dinner entertainment - watching the impatient people trying to dart around and nearly get hit by others trying to back out. It's pretty sad. I moved to Keizer from Cincinnati about a month ago. I remarked to my wife that a town as large as Salem has so little dining variety. To put it in perspective. In Ohio we have townships, they aren't cities, they are just large incoherent land masses with a crap load of citizens and their own sheriffs department. The township near the city I grew up has about 30,000 residents and has more restaurants than Salem. --Now the difference between Cincinnati and Salem is the strong industrial base and home to many corporate headquarters there and the lack of it here. So the restaurant quantities are justified for lunch business, but they are also full every night of the week with families and folks out on the town. I was puzzled how this sprawling suburb of a town doesn't go mad for lack of variety, until Sonic came in. In Cincinnati there are five Sonics so when I heard they put one in I thought, "Oh that's cool". Then I sat in traffic for a few minutes on Lancaster, until I got in the left lane, to find the line to get into Sonic was about 500 feet long. It was hanging into road traffic and it was wrapped around one of the buildings in the lot. People seem to be starved in this town for new and it would seem practical to put in more. And as for the environmental aspects. There is a lot of dead wasted space in empty shopping centers. Tear them down, recycle the materials and build new restaurants. Now restaurants like the original location of the Rock-N-Rogers would rake in the bucks in Cincinnati. I ate there well over eight years ago and it was great. I came from an area with a lot of multi-generational Greek, German, and Italian straight-off-the-boat type restaurants. I am sure there are a lot of dives (that's a good thing) that we just haven't found yet. Thanks for your blog we have used it a lot! There must be quite a few factors that play into the number and variety of restaurants in an area. I don't know if Salem and the surrounding area has the same population density as the Cincinnati area. That must make it a greater gamble to start a home grown, local restaurant. I remember working at a small town Sizzler as a teen. We had an enormous base of regulars and our manager was all about customer satisfaction. I moved to the Portland area a year later and was able to "transfer" to a Portland Sizzler. They also had an enormous clientèle, but few regulars. Customer service was NOT what they were all about, because they knew that more people would be walking in the door - even if someone else stomped out unhappy. I hear so many people I know in Salem talk about driving all the way up to Portland to eat at a chain. I just don't get it. Sonic in Salem is the worst Sonic I have ever eaten at and Ive eaten at 6. I felt like I was in Tijuana, and the strawberry ice drink I had was all water with a little bit of ice and a couple strawberry's. Waste of time and money. I'll just go to Sonic when Im on vacation.